Some of us get “shaky nerves syndrome” when we have to speak to an audience or in situations where we might be sitting in a classroom or a meeting and it’s our turn to ask a question or present our comments. The heat of being observed causes our faces to flush, our heart to pound out of our chest and our body to tremble as though we just stepped out of the shower into the cold air. The ultimate unmasking is our quavering voice. At the heart of the matter are personal doubts about: “Will they think that what I am saying is stupid?” or “Will they like me?” These cluttered thoughts inhibit effective communication because we turn inward instead of outward where our words are being received. Whatever the occasion, PTA night, a workplace meeting or a big family gathering including the in-laws, shaky nerves and nagging thoughts can be managed and transformed into an advantage. The key is to channel the acute stress of self-expression in a situation where we feel that we are being evaluated into a strong, energetic presentation. The acute stress of making our voices heard can serve as a positive trigger because it wakes us up to prepare thoroughly, perform better and be more awake. Even our immune systems become more vigilant when our bodies are in high alert. We need to practice the skill of listening to other people instead of worrying about what we will say next. Other people just love it when we listen to them and observe them. They feel more connected to us. When we become adept listeners, we lose the fear of communicating our ideas publicly and of being judged. We have created a rapport with the listeners. Begin this practice with the individual and then expand to the group. Body language is the medium for our message. Body language is honest and intuitive and can enhance or undermine what our minds say. If our voice quavers, our chest sinks, our hands shake, and we don’t look people in the eye, we transmit insecurity and weakness. A slouching stance lowers our status in the pecking order. In short, we are making everyone around us feel nervous and stressed. Let’s try straightening our posture to rise to our full height, standing at attention by putting our hands behind our back, one hand grasping the thumb of the other just like the military. This keeps our shoulders back and down, our heart open and our posture in good alignment to send oxygen to the brain to help us think clearly. We look like we have a substantial message to convey and at the same time are attentive to other people’s opinions. Make it your daily practice to help other people feel good. Look directly at the person behind the counter and say, “Thank you.” Soon this will become a reflex action. Keep it reciprocal. When someone thanks you, respond with “your welcome, I know you would have done the same for me.” Of course, the other party or audience will agree. Reciprocity will help you to relate to your audience and for them to accept your words. When you feel comfortable in one-on-one situations or in a small group, you can move up to the next level. Address large groups as though you are speaking to one individual (remember they do consist of individuals). When preparing your speech or comments, consider those who will disagree with you and be ready to counter the objections raised with evidence or anecdotes. Rehearse the event in your mind, over and over again. See yourself engaging in dazzling conversation or speaking to a resounding applause. See this scene in vivid detail. It will keep your goals active and in front of you. You will actualize your vision. Breathe deeply to calm down because when you feel anxious, you breathe rapid, shallow breaths. 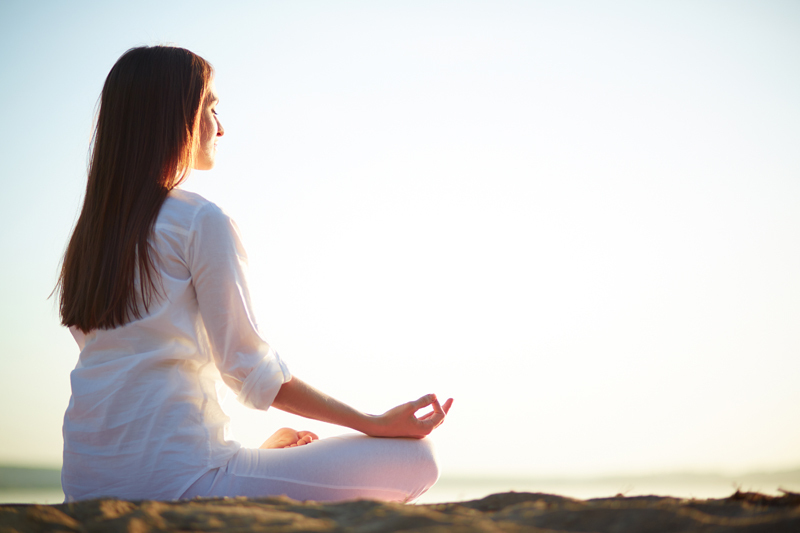 To counteract the anxiety: Inhale 2 counts through the nose and exhale 4 counts through the nose for deeper breathing. Think: “With each breath, I now relax my heart.” After a few deep breaths, you will feel more at ease and your heart will stop pounding because your blood pressure comes down. Look directly in the eyes of the person or audience you are speaking to. This conveys that you have nothing to hide and that you have a sense of empowerment. Your gaze provides you with an opportunity to be hypnotic and persuasive. Affirm your audience in your mind and send them positive energy. Cultivate an awareness of how your words are received. Pay close attention to the other person’s body language: yawning, red face, stiffening, arms folded in front of the chest, or eyes scanning the room; be flexible and turn this negative feedback around. You can change the outcome!